Amazon’s malign power has grown to the point where for several years now, it has declared its own holiday, Prime Day, which is essentially centered around giving it huge amounts of money while ignoring that it is maybe evil. 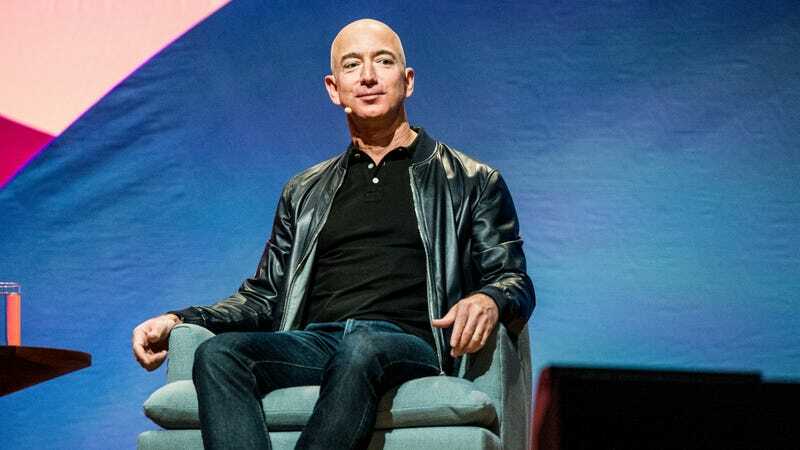 This year’s Prime Day is especially special, because the Bloomberg Billionaires Index has declared Amazon’s tyrant CEO Jeff Bezos the richest individual in modern recorded history when adjusting for inflation. As CNBC noted, Bezos has yet to eclipse one final record: John D. Rockefeller’s early-1900s valuation at 2 percent of national GDP, which would be $350 billion in today’s economy. He’ll just have to wait another year or two for that one. Correction: An earlier version of this article incorrectly stated that John D. Rockefeller’s obscene wealth was estimated at 2 percent of America’s GDP in “the early 1990s.” That valuation was actually made in the early 1900s, when Rockefeller was alive. We regret the error.